Retired police officers have failed in a High Court challenge to a watchdog report which identified RUC collusion with loyalists who murdered six Catholic men. A judge rejected claims that the Police Ombudsman exceeded his legal powers in publishing findings on the Loughinisland massacre. Mrs Justice Keegan said: “This is a legacy case, involving the death of six people in circumstances where serious questions have been raised about police conduct. The men killed were: Adrian Rogan, 34, Malcolm Jenkinson, 53, Barney Green, 87, Daniel McCreanor 59, Patrick O’Hare, 35, and Eamon Byrne, 39. Raymond White, representing the Northern Ireland Retired Police Officers’ Association and Ronald Hawthorne, a former sub-divisional police commander, were seeking to have the report quashed. But lawyers representing the Ombudsman and victims’ families argued that he should withdraw due to his role as a barrister in separate litigation 17 years ago. Counsel for the retired officers stressed it was not an attack on the institution of the Ombudsman’s office. 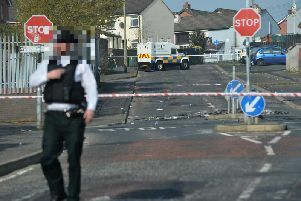 The Ombudsman’s legal team countered that the Police (Northern Ireland) Act gave him the required statutory power to make the determinations contained in his public statement. “He also has power to refer complaints for criminal or disciplinary disposal and he can take other defined actions,” she said. Dismissing the legal challenge, she noted that the Ombudsman’s statement does not constitute a criminal or disciplinary finding against any individual. Speaking outside the court, the judge’s ruling was welcomed by family members of those killed in the Heights Bar attack. Their solicitor, Niall Murphy, said the decision paves the way for the publication of a number of other long-awaited Police Ombudsman reports into other murders.